It is definitely getting to be summer in Texas. I think the high today was 96 degrees. It is not an ideal time to go tramping around a graveyard. One of the first things I learned about when I started “Exploring Backwards” was the wealth of information you can obtain from a tombstone. I found a wonderful website that is driven by volunteers requesting people in various parts of the United States take pictures of tombstones of their loved ones. It is called Findagrave (www.findagrave.com). It is a great tool, and I have used it several times to look up an ancestor. I have even gone out and tried to track a few requests down. I have definitely not done it enough, but I got my mother involved about a year ago. I know she has done it at least a dozen times. I have even made friends by doing this. I put in a request for a cemetery in Amherst County, Virginia, and I met Rita and Bill that way. I put in a request for the Matthews name in Oglethorpe County, Georgia, and met Carl. The first tombstone pictures I took is when I went to Chicago for a genealogy field trip. Aunt Viv and I went down to the old neighborhood, the old Church, etc. We also went to the cemetery where her parents and grandparents are both buried. 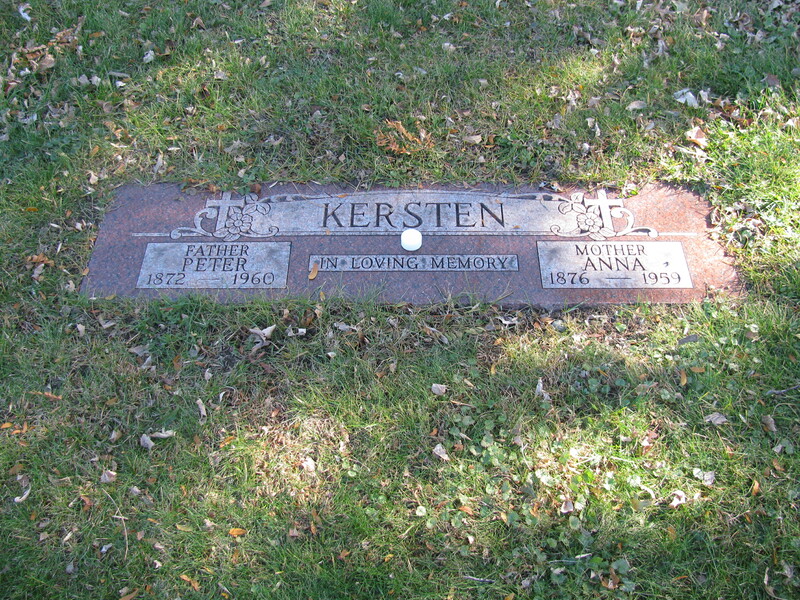 This entry was posted in Kersten and tagged findagrave, Tombstones. Bookmark the permalink.